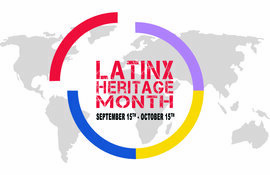 The national observation of Latinx and Hispanic Heritage began in 1968 as “Hispanic Heritage Week.” This commemorative week was expanded in 1988 to cover a 30 day period, September 15- 30. The day of September 15 is significant because it is the anniversary of the independence of five Latin American countries: Costa Rica, El Salvador, Guatemala, Honduras, and Nicaragua. Mexico, Chile, and Belize also celebrated their independence days on September 16, September 18, and September 21, respectively. During this month we recognize the contributions made and the vital presence of Hispanic and Latinx communities and celebrate their heritage and culture. Every year, The Legal Aid Society recognizes Latinx Hispanic Heritage Month as a time to honor this diverse and vibrant community that makes up over 2 million people in New York City alone. Now more than ever we must advocate and protect the rights of those that are targets of racist and xenophobic attacks, resulting in destructive immigration policies, criminal profiling, and workplace abuse and discrimination. We will continue to fight to keep families together and protect the constitutional and civil rights of all New York residents. We know that what makes this city great is its flourishing diversity and the presence of the Latinx and Hispanic community. We are proud to continue our work in immigration, economic and criminal justice reform to protect and advocate for these communities. We celebrate our Latinx and Hispanic staff and community members who have been leaders, advocates and champions of justice for their communities and many others in this City. We will continue to celebrate our Heritage Months in distinctive ways that honor that community. This month we will be sending out information about the work we do Society-wide to serve and support Latinx and Hispanic communities. Newer PostThe Legal Aid Society Honors Seymour W. James, Jr.